Artists will be so annoyed that they'll start designing new Winter Classic and Stadium Series concepts again just to prove how wrong that statement is. Without further ado, who's excited about seeing the Blackhawks finally playing in the NHL Stadium Series again next season?! 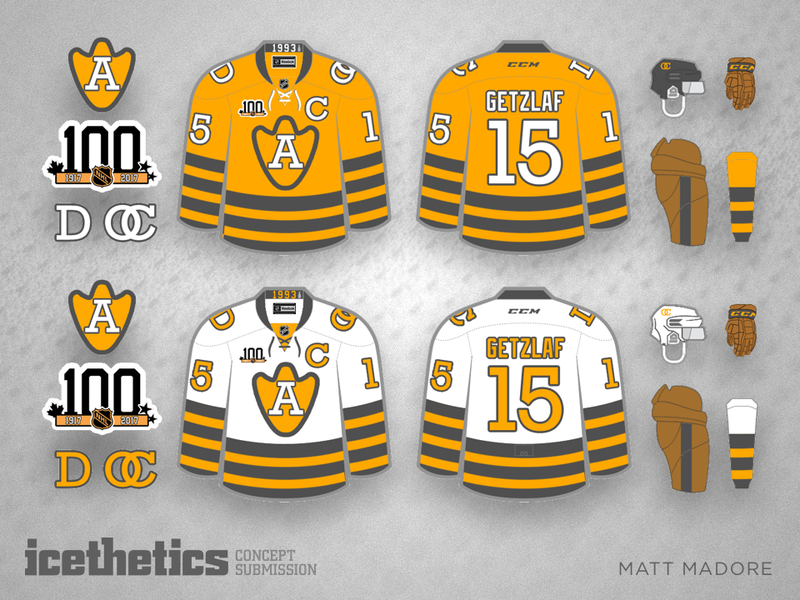 For this Outdoor Saturday, Matt Madore envisions the Ducks in 20-year-old throwback-inspired sweater for a future Stadium Series game. It could work... right? 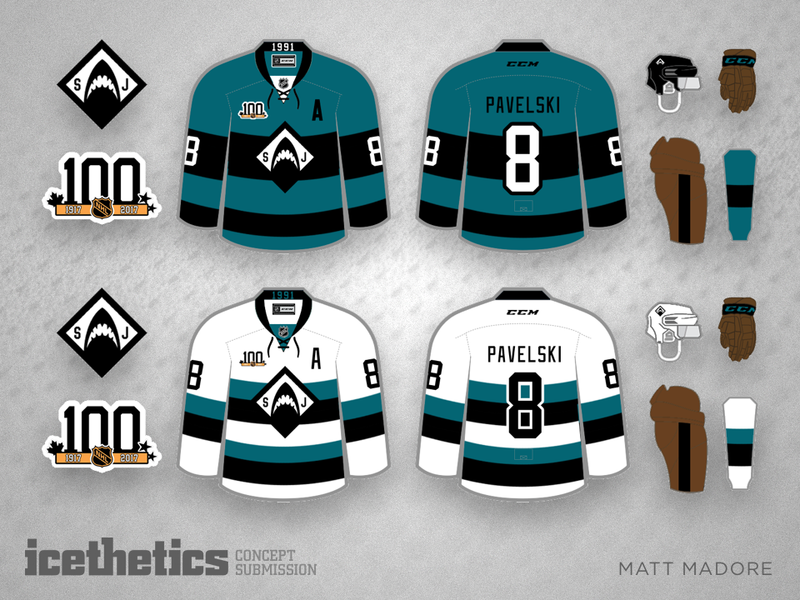 Matt Madore proposes bringing the "Mighty" back to the Ducks uniforms while keeping their modern colors. 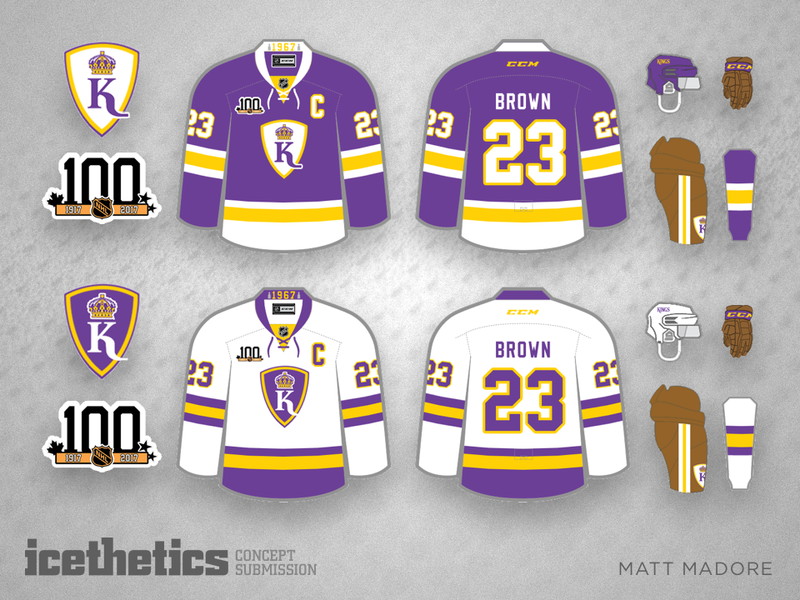 Given the existing third jersey, this may not be such a far-fetched idea anymore. Matt Madore sent this in prior to the Pens' Stadium Series game against Chicago in 2014, but it stills seems to be a valid option even this season — especially with that crest! 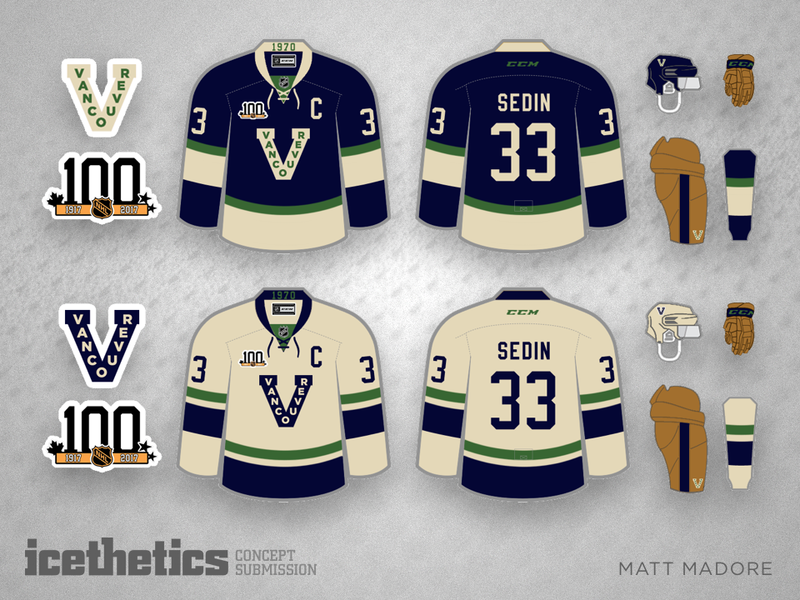 It's the finale of Matt Madore's Monday series in which he's redesigned all 30 NHL team uniforms for the league's upcoming centennial season. What do you think of the Pacific Division?